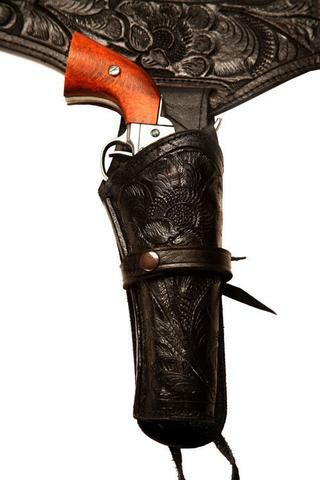 This black leather handcrafted holster is designed to hold a 44/45 caliber single action revolver. 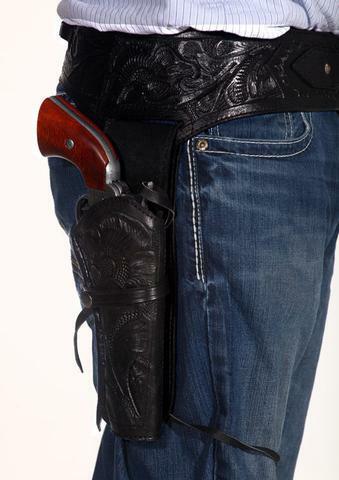 This gun holster can be used for just about anything from hunting to competition shooting. Made with gun enthusiast in mind, it comes with a leg tie down and an adjustable strap for the hammer which keeps the gun right where you want it. 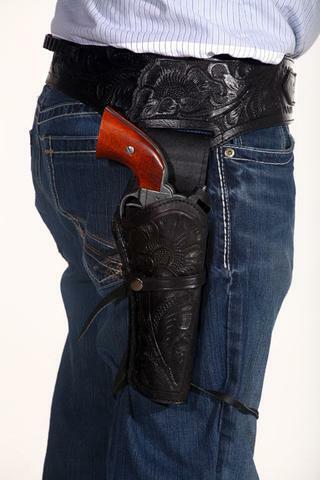 This also greatly reduces the movement of the gun which makes it a lot easier to do whatever it is you need to do while wearing the gun holster. 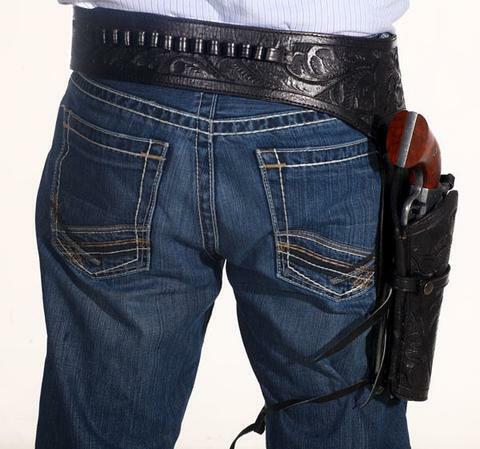 *Note: Western Gun Holsters are meant to be worn outsite and over existing belt/pants. 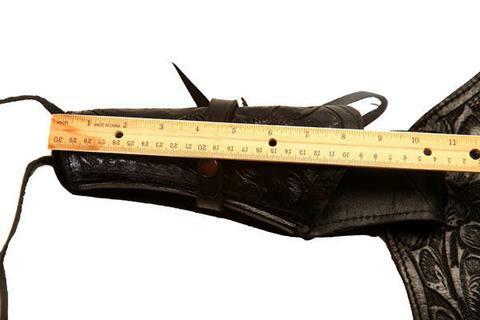 If you wear a size 32" pants, you would need a 34" belt, and a 36" Holster.